Medical professionals are constantly running at full speed. In the medical industry, your main job is to help people recover from illnesses so they can resume a comfortable life—but medical laws, regulations, and standards are in place that take time and attention to address. Along with everything else going on, medical practices are legally responsible for office processes ranging from safety to ethics to waste disposal. Both patients and employees depend on medical offices as safe and secure places, but the last thing doctors have time to manage is waste. There are several ways companies handle medical waste disposal, and best practices vary depending on industry. But since managing medical waste is unavoidable, we have compiled a list of ways you can optimize your disposal program and save your practice time and money. Instead of tackling medical waste disposal yourself, consider using a service provider. Laws and regulations are constantly changing and evolving—save hours spent working through all the fine details yourself and avoid expensive fines for improper disposal by allowing expertly-trained professionals to do everything for you. Medical waste disposal service providers supply you with proper containers based on what types of waste you have and how much you generate. They ensure the safe and legal transportation of your materials and take care of their final destruction. Disposal costs are often calculated by weight, and many practices end up paying too much because they mix regular trash in with their medical waste. Strategically place your medical waste receptacles out of sight from patients who may throw in coffee cups or other normal trash. Check with your local government to determine exactly what is considered hazardous and what can be thrown out with the normal trash. It may come as a surprise that the Occupational Safety and Health Administration defines bandages that are not saturated to the point of releasing blood or OPIMs when compressed as common waste, not regulated waste. When using a service provider, the more times they have to drive out to your location to collect your waste, the more expensive it will become. Look for ways to reduce the number of times your provider needs to visit your location. If you can, try making adjustments to reduce the amount of waste you produce. 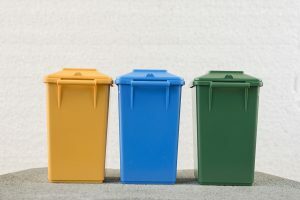 If you generate medical waste frequently, consider using larger storage bins. Most medical waste can be stored indefinitely, and larger bins mean more infrequent pick-ups, so you end up saving money. If you generate a small amount of medical waste, generate waste infrequently, or live in a remote area (making service pick-up trips long and costly), consider using a medical waste mailback disposal service. Mailback services allow you to send your waste back whenever you’re ready, rather than on a specified schedule, meaning you can wait until your container is completely full—maximizing efficiency. 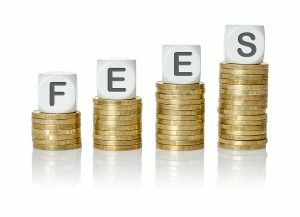 Always be sure to ask your service provider about any additional fees. 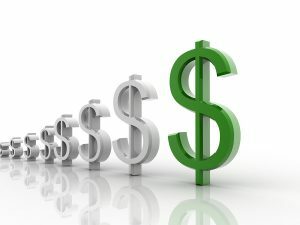 By asking about trip fees, gas fees, government fees, and more you can get a more accurate picture of the final price you will pay. Also consider companies that charge a minimum monthly service fee. If you frequently dispose of medical waste this shouldn’t be an issue, but if you are a smaller practice this type of service will be far too expensive. Ask your service provider about their insurance and know when you will be covered in case of an accident. Know what you could be held responsible for and determine if the risk is worth it. Carefully choose a medical waste service provider that fits your needs and budget. When employees are properly trained on what type of waste goes where, you are more likely to have a streamlined process and eliminate the chances of normal waste being thrown into a medical waste container. Effective training is an excellent way to increase process efficiency while ensuring your practice is staying up to date and complying with all current laws. Have a plan in place in case of an emergency. If there is an accident, make sure everyone knows how to properly handle it and clean up any mess. The less materials that are contaminated during clean up, the less waste you have to dispose of—decreasing your overall disposal costs. An infallible way to ensure you are getting the best price for services in your area is to do a price comparison. Find several local companies and get prices for the services you need from each one. Some companies may offer reduced rates for bundled services or regularly scheduled services. Shopping around will ensure you not only get the best price around, but will also help you find the best match for the exact services you need. Looking for Medical Waste Disposal Services Near You? Medical Waste Pros Can Help! Medical Waste Pros partners with medical waste disposal service providers across the nation and is here to help you find the best options near you. We have a network of contractors looking for your business today! Keep your attention focused on your patients with help from a medical waste disposal company. For free quotes on services near you, fill out the form on the right or call us at (888) 755-6370. We will find you several priced options so you can choose the best medical waste disposal company for your job.